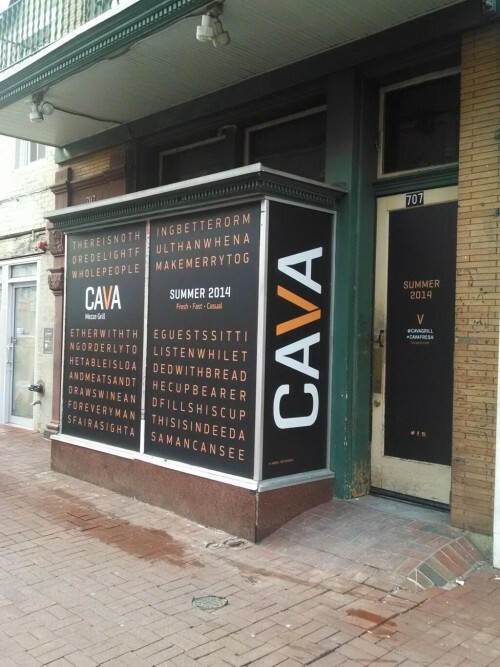 “Cava Mezze has finalized a lease agreement to expand its fast-casual restaurant, Cava Grill, with a location in Chinatown at 707 H Street NW, set to open this summer. Drawing from the success of Cava Mezze’s modern take on Greek food, Cava Grill brings these authentic flavors to the fast-casual setting, redefining signature dishes for budget-,time-, and health-conscious customers. The restaurant’s format will fit well in Chinatown’s diverse and busy neighborhood. You can see Cava’s menu here.